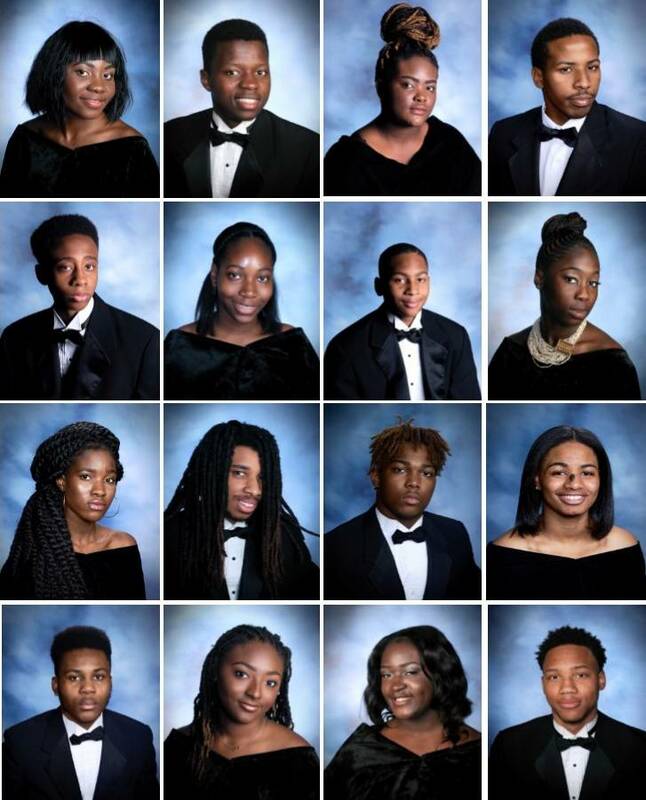 On Monday, June 11th, at the Weequahic High School Senior Awards Ceremony, the WHS Alumni Association honored 20 deserving students from the Class of 2018 with scholarships to attend college or a trade school. The scholarship recipients are: Samuel Adesina; Shellee Alexander; Latiefa Barrett; Richel Boakye; Leslie Bonsu; Laquan Breedlove; Salih Brown; Samir Craighead, Isioji Chukwuka; Charles Dennis; Marissa Dickson; Elijah Jones; Zeinab Kone; Ishmil Montague; Mary Osei; Esther Ayonide Otuyelu; Victoria Roe; Rasaan Thomas; Lazaar White; Princella Woobey. Since 1998, the Alumni Association has awarded hundreds of scholarships totaling more than one-half million dollars. 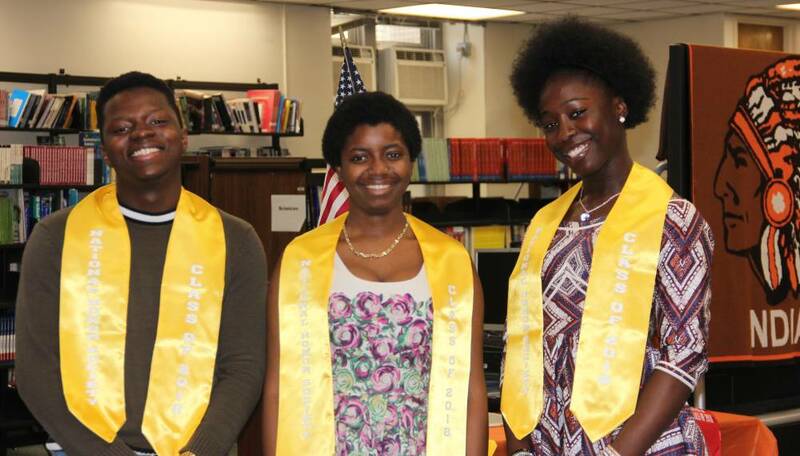 For this year, it awarded three $2,000, six $1,500 and eleven $1,000 scholarships – totaling $26,000. 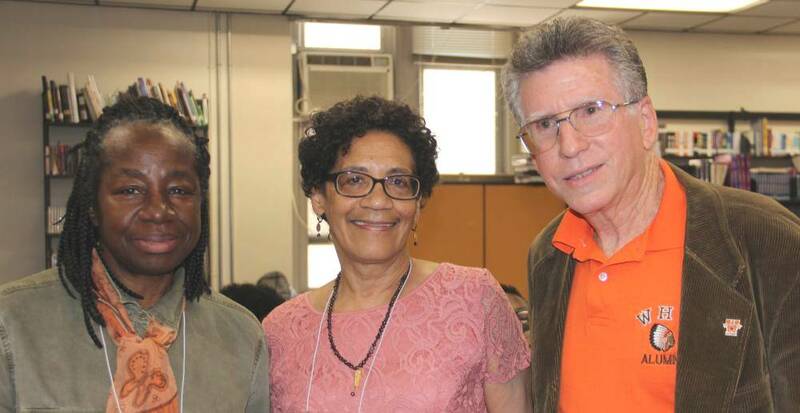 These scholarships represent 17 different funds, which have been established by graduating classes – or are in honor or in memory of Weequahic alumni and faculty. The names of the funds are: Alvin Attles; Class of 1963; Class of 1964; Class of 1965: Class of 1967: Lenore and David Beckerman; Marvin Gibson; Ronald Griffin; Gloria & Walter Hastreiter; Reada & Harry Jellinek; Herbert & Dianne Lerner; Hannah Litzky; Seymour “Swede” Masin; Edwin McLucas; Sadie Rous; Nancy and Linda Small; and Ronald G. Stone. 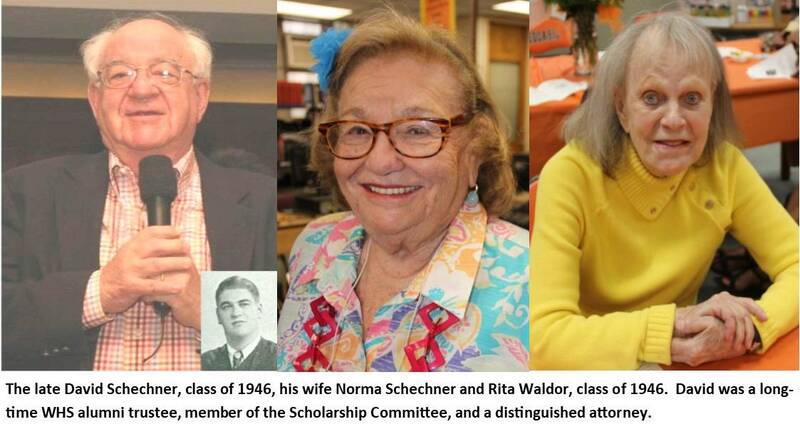 A special scholarship was awarded in memory of David Schechner, class of 1946, who was a longtime WHS Alumni Association trustee and a distinguished attorney in the greater Newark area. David served for many years on the Association’s Scholarship Committee. His wife, Norma, joined us and participated in the ceremony. She was accompanied by Rita Waldor, 1946, and friends, Jack and Jackie Nover. Current and former alumni trustees who attended were co-president Marc Tarabour, 1963; Mary Dawkins, 1971, Kim Gaddy, 1982; Ruby Baskerville, 1961; Adilah Quddus, 1971; Ben Wolfe, 1955, and Yolanda Bogan, 1987 (she is a guidance counselor at Weequahic). Also, visiting from Atlanta. GA, was 1964 alum, Dr. Arnold Heller. Ms. Keya Sanders, Senior Class Advisor, and Dr. Baseemah Jumuah, 1972, Junior Class Adviser, organized the event. The scholarships were presented by Myra Lawson, 1970, WHS Alumni Executive Director and Phil Yourish, 1964, WHS Alumni Founding Executive Director with WHSAA Trustee Pamela Scott-Threets, 1966.